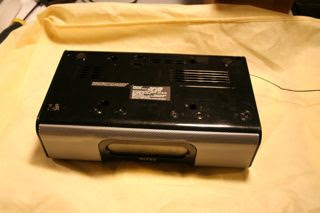 I was first interested in the ihome alarm clock because of it's ability to charge the ipod and use it as a radio. After browsing ebay for one I noticed that a lot of the ihomes were being sold "as is" with the ipod function no longer working. So I bought a broken IH5 for $5 & as it turns out there is an easy fix for the problem. The pins in the dock connector wear out and your ipod will probably sooner or later not connect anymore and not switch from the aux setting when you dock an ipod. I called ordered a new dock conector from ihome. They with give you the part number you need for your model. My part was described as dock connector part # IH5-101 (yours may be different.) You will have to use snail mail and send a money order to SDI Technology for 9.50 + 4 S&H = 13.50. To open the ihome first, place it on a soft cloth or towel so you won't scratch the plastic. Turn the radio so the bottom is up. Next locate the arrows on the bottom of the ihome next to the scew holes. These arrows indicate the screws that need to be removed to gain access to the inside. 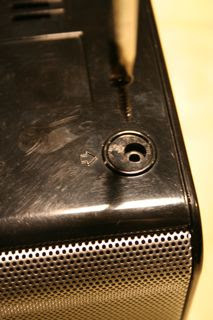 Two of the screws are covered by rubber feet but can be easily removed with a little prying from a small screwdriver. Remove all the screws with arrow indicators. Make sure you remember where they go. Not all the screws are the same size, so draw yourself a map of the bottom of the ihome and tape the screws to the location they were taken out of, or what I normally do is arrange them on a table in the pattern of their original location. Now pull up the bottom cover. 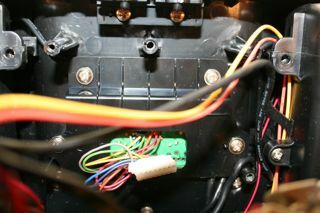 There are four sets of wires connected to the bottom plate. Detach the 3 wire sets at the white connectors. The fourth wire set will be long enough for you to set the bottom plate flat on the table. Next remove all the screws on the circuit board and remember their location. Pull up the circuit board slightly and you will be able to access the four screws holding the dock connector in. Remove the screws and detach it from the circuit board at the white connector. Now remove the two screws and replace the old dock connector with the new one. I noticed that the new connector was slightly redesign and appeared stronger, so hopefully it will last longer than the original. Now just replace everything in the reverse order. 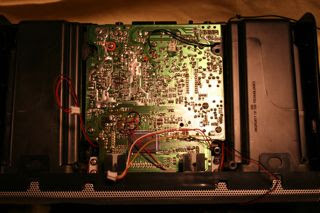 Be careful to move the wires out of the way when you replace the circuit board and bottom cover. Now the ipod will connect and hopefully work like new. Just the information I was looking for. I am looking to repair my wife's old IH5 that is having exactly the same problem. The customer service lady at the El Paso plant gave me this number too, I spoke with the head guy for spare parts. The first people I talked to told me I couldn't order just that part. I called the main SDI customer service and iHome customer service. this information is very helpful except it does not tell you where to purchase the replacement connector and how much it is. please update with this information. You are the best!! 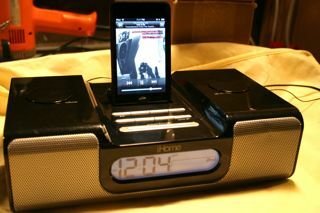 I got a free ihome that was broken, and followed your instructions carefully, and I am now enjoying a "new" iHome! Thank you thank you thank you!! thank you very much for the instructions. i couldve figured them out myself but i thought it would save me some trouble if i read it over first. the pictures were a big help! now i can charge my ipod while listening to it! thanks again! 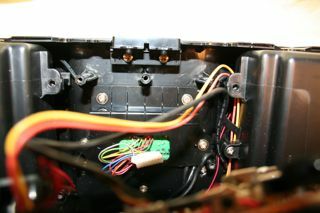 The IH5 requires one to take the whole Ihome apart to replace the docking connector. 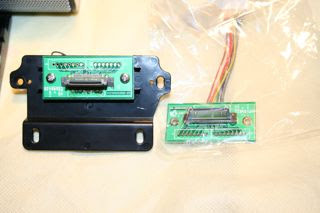 The IH9 has 2 screws under the adapter plate to remove the connector and doesn't require a complete disassemble. Good luck. Thank you! These instructions were very helpful. I now can use my new 160 GB iPod Classic in my repaired iH5. A further question, however: has anyone else tried to use the new, thinner iPods in this older iHome model? The tech support line staff told me to use the same insert ("thick iPod") that I had used with my old, now broken, 60GB 5th Gen iPod, with those grey replacement pads on it (i.e. the exact same setup). However, although my iH5 is now working again (hurrary! ), with the thick insert in, the back of the new iPod is nowhere near the insert, which makes me worry that the dock connector will eventually loosen all over again. So, I used the thin insert, with the original pads over the grey ones for extra thickness, and it just about works, although the top layer of pads will no doubt fall off eventually unless I glue them. you could use the self adhesive felt furniture leg pads. They come in large squares and you can cut them to whatever shape you need. Some new ipod's won't work with the ih5 because the new ipod's no longer have firewire charging pins. Thanks for your comments! Thank you! I think I actually still have some of those pads kicking around somewhere after an IKEA mission. It plays and charges just fine, thankfully! I had just dropped my ihome after getting my feet tangled up in the cords. Thank you so much. I needed this. The whole connecter thing broke. :DDD love u lottsss!!!! jkjk... but really u saved my life!! Worked like a dream..only comment to add is to be careful with the detaching the white connectors- Detach the 3 wire sets at the white connectors - At first I thought the disconnected from the board, which they do not - carefully pull them apart. hey im sorry i didnt get the part were can i get a spare part of dock connector ? I got to the step where you have to disconnect the white connector, but it seems like it's attached to the circuit board permanently...is there any special way to detach it? I don't want to break the circuit board. It's been awhile but I believe there it two white pieces. One that is connected to the circuit board and one that slips out of the other white piece. There may also be a tab that you can use a small screwdriver and lift the tab slightly and separate the two pieces. Let me know if this works for you. I also have the IH27 customer support said that I had to send in the whole unit to have it fixxed. there are only two screws holding down the dock to the unit. 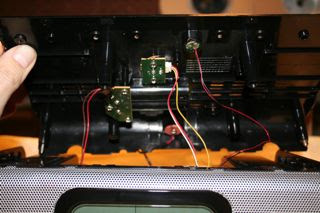 a ten pin ribbon plug, then four small screws to remove the small board. two Mins to take it apart and one min to put it back together. put they want me to mail the whole thing and thirty dollar money order. My daughter's got an iP97 with the broken connector issue. I called 1-800-288-2792 and after convincing the woman that the connector was broken, she told me to send a money order to SDI (iHome's parent company) for $13.60 for part # IP9-101. Where can i buy another ihome dock component? call 1-800-288-2792. You will probably have to send them a money order. It's strange for a company that sells gadgets to only take money orders, but what ever works. I have a broken iHome iH5, the dock isnt working. The volume and tuner control wont choose the channel correctly but the sound is still good. Does ihome deliver also in the philippines? i am not sure if my issues matches this one but any help is appreciated..
i have had my ihome for a year and a half now. just last night i was trying to play music, so i put my ipod in and pressed the play button on my ihome. but it didnt change to ipod on the ihome. i pressed the play button again about 10 times and it worked. but it is becoming more and more unresponsive when i press buttons and i dont know what is wrong! I have ihome spk dock, i am facing problem o sound. When i connect the ipod on the dock sound not comming from the speaker. Can you may suggest that from where i can get it repair. I need to order an ih5-101 dock connector for my ihome ih5. Where can I order it from? Please let me know. Thank you. Thankyou so much! I was soo mad and confused why it wasnt working! I compared both my broken ihome and my brothers working ihome and on mine you can even tell on the adapter that the bronze part was totally gone compared to his! Its so weird how that can just wear off though! Thanks again!!!! I have an iHome Model iH9 and an iPod nano (the old one). When I put my iPod on the dock it doesn't play unless I push the iPod forward and hold it. As soon as I let go it doesn't play. I had the iHome for about a year and a half when this started happening. I have the adapter piece in so I know that's not the issue. Do you think getting a new dock connector and following your instructions will solve my problem? I know this is an old post, but THANKS for the information. Replacement of the connector on the iP1 was a little different process, but this helped me know where to start, and knowing others had done it made me willing to try! Nice to have the dock working again. I have an ihome ip29 (http://www.ihomeaudio.com/iP29UC/) with the same docking plug problem. Have spent quite some time trying to figure out how to disassemble. Can anybody point to some simple instructions of how to do this. Any help would be appreciated. Ive been emailing ihome about my ip29 and they claim they dont sell the parts individually. They also wanted $30 plus shipping to fix it. I only paid 50-60 from Costco. Will this work on an ia5 as well? Has anyone figured out how to make the internal adjustments for the Clock? My iH5 has been slowing down ever since it was new. Every week I have to reset the clock to keep it even close to the correct time. Do you know if they sell these for the iP90 model? If so, where and how can I get one? Rohit, I seriously doubt that they have a service station in Bengluru, India. What is the specific problem? Call them at 800 US number. Company is very responsive and customer service is excellent from my experience. Does anyone know why I'm not getting any sound out of my iH27? I've tried everything and all of my buttons work & it still charges like it should. I just can't get the speakers to work. Help me please. It sounds like you most likely received the wrong part. Call them back and tell them what happened. Make sure you have the ihome close by incase they need the model or serial numbers. I just replaced 2 dock connectors in 2 ihomes for my kids under one hour using these awesome instructions! great, but where do you find the parts? I've been scouring the web and have yet to find a replacement connector for sale. You have to call the manufacturer on this one. They should sell you the parts you need. If they are no longer selling parts let me know and I will update accordingly. Best of luck! do you think the iP90 could use a dock replacment part from the iPL10 so i could use an iphone 5 on the iP90? Hi, i have a problem with my devices Ihome IP1, do you know if it's possible to find some spare parts or wiring about the mainboard. my devics does'nt work anymore, no sound.. I also have an ip1 that needs a dock connector, I called in they said I have to send it in. Where did you get yours? Sdi technologies? I would try calling again tomorrow. You might get a more helpful person. In need of a ih9 dock stand connector! Was told it is discontinued. Anyone know where I can get one.